Atomic FE is a Front-End for Multi-emulators. It’s been made mainly to be used with games of arcade MAME. 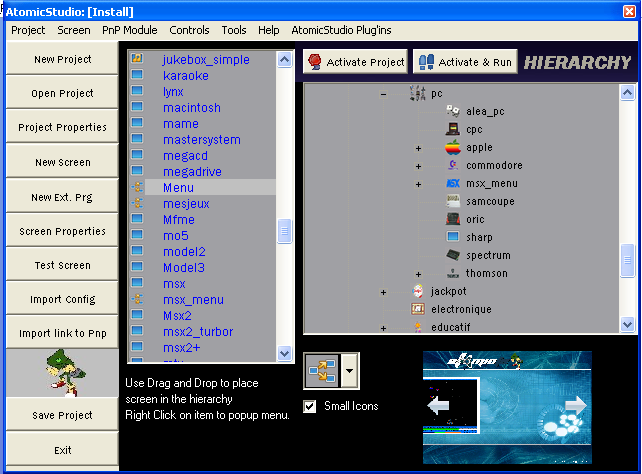 Furthermore, it would be possible to utilize Atomic FE with any other emulator as a result of small configuration efforts. Eventually, Atomic FE can be used to launch any application, as well as simply as a menu control! This front end is optimized for MAME and its derivatives (ADVMAME, FASTMAME, etc...). 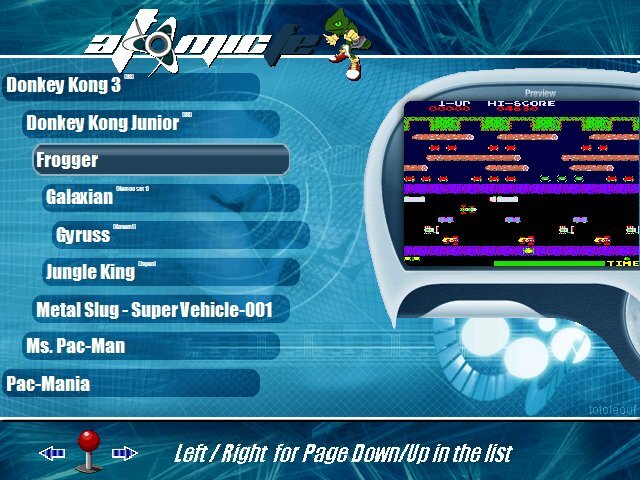 The main objective of Atomic FE is to function within a real arcade cabinet, and to be driven using joysticks as well as the buttons. In other words, it can work perfectly well with a keyboard or arcade controls. And last but not least, this Front End is completely configurable: it supports all the resolutions, all graphic cards (including ArcadeVGA), and is capable of functioning with the majority of emulators that accept command lines. Few videos of Atomic's user project! Have a look to the screenshot section too! 11/20/2009: New layouts on line! tous droits réservés visites par personnes différentes.